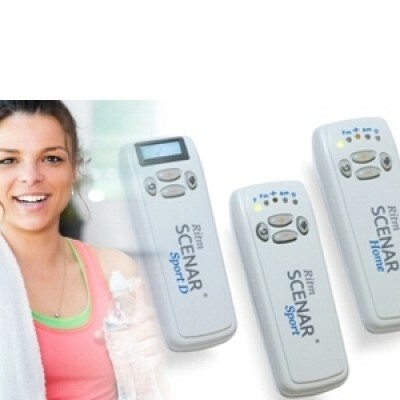 RITM SCENAR® Personal range of devices - Home, Sport and Sport D are simplified versions of the RITMSCENAR Professional devices, designed for home use. RITMSCENAR ®devices are proven to provide quick and sustainable pain relief, restore function and mobility in the body. 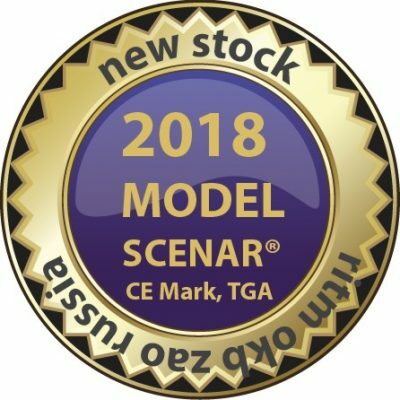 All Personal devices incorporate the Genuine SCENAR technology and the newest 2018 developments - 2x Dose Modes and 2 x Presets with bioGap function. 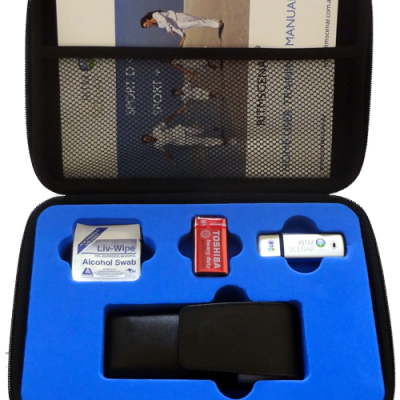 The RITMSCENAR® Sport is an easy to use, portable SCENAR device used to alleviate pain and facilitate functional restoration and improvement. 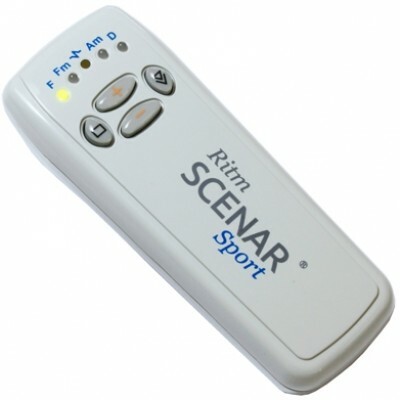 The RITM SCENAR® Sport supports one auto mode called Dose 1 Mode and one screening Mode - Dose 2. In Dose 1 Mode the device will deliver an individual measured stimulation according to the body response to the impulse. 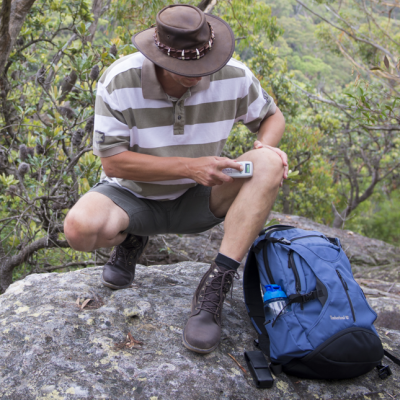 Dose 1 is also used to quickly identify the best treatment locations. In Dose 2 Mode, the device screens the treatment area by reading the skin reaction and displays the best areas to treat on the LCD. It is used for treating larger body areas such as the back, chest and the abdomen. Preset 2 - bioGap where the gap between the SCENAR impulses change according to the skin reaction. BioGap preset is suitable for acute and sub-acute pains. The RITMSCENAR® Sport supports four impulse Frequencies – 14Hz, 60Hz, 90Hz and 340Hz, suitable for treating degenerative processes (low frequencies) or inflammatory processes in acute state (high frequencies). This allows the user to select the most appropriate treatment setting for the phase of the painful condition. The Amplitude Modulation feature in RITMSCENAR® Sport is fixed to 3:1 and is very effective in the treatment of pain in muscles and ligaments. 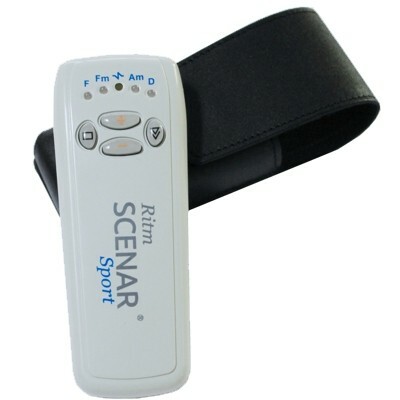 The RITMSCENAR® Sport also supports Frequency Modulation in the range of 30Hz to 120Hz. This setting is commonly used to create a change in the painful condition. 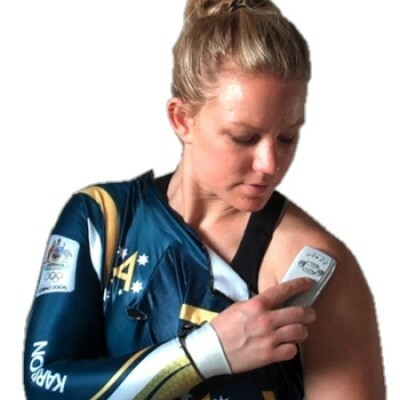 With the RITMSCENAR Sport, active people and sport professionals can easily manage pain, reduce trauma downtime and speed up the rehabilitation processes from injury or surgery. RITMSCENAR Personal devices are portable medical devices, used for delivering non-invasive therapeutic treatment on the skin to regulate physiologic systems of the body in order to relieve and manage different pain-related pathologies. for pain relief in chronic/recurrent headaches and tension-related headaches.